Protesters say the bear hunt may orphan many bear cubs. Hear an audio story about the protest against the bear hunt. 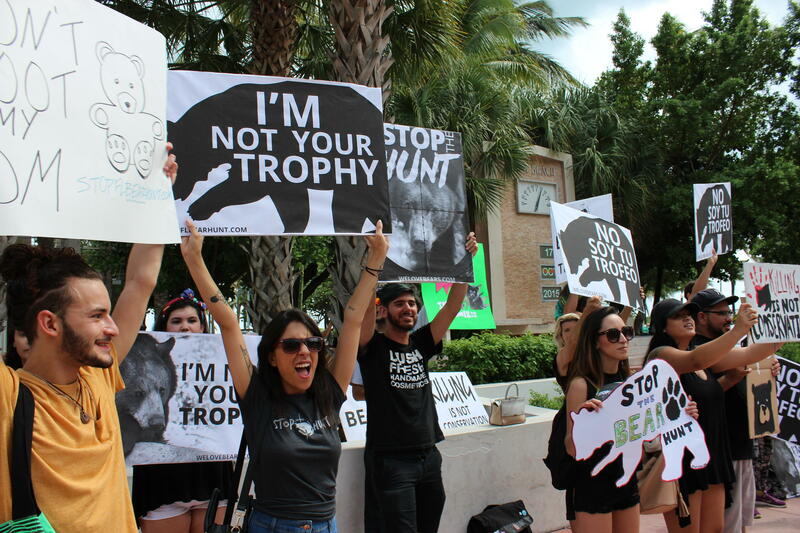 Dozens of protesters gathered at Lummus Park in Miami Beach on Saturday in opposition to the statewide bear hunt set to take place Oct. 24-30. 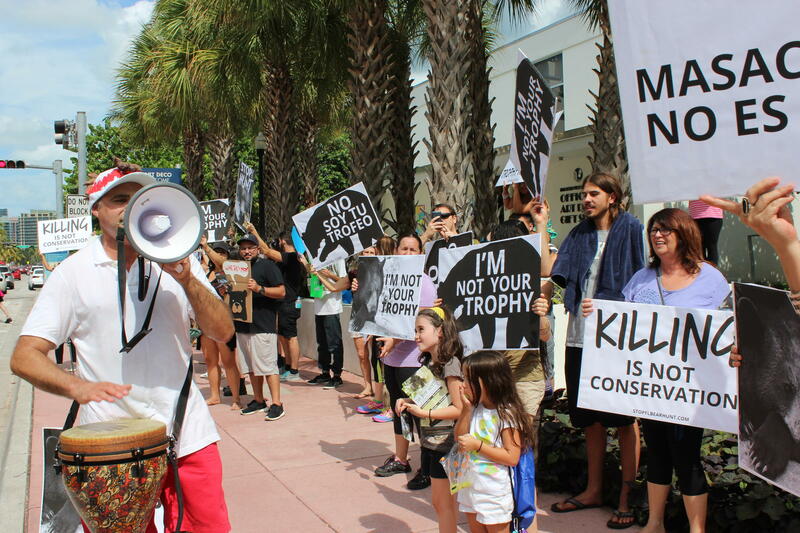 Organized by a network of volunteers called “Stop the Bear Hunt,” the rally was one of many protests happening across the state. 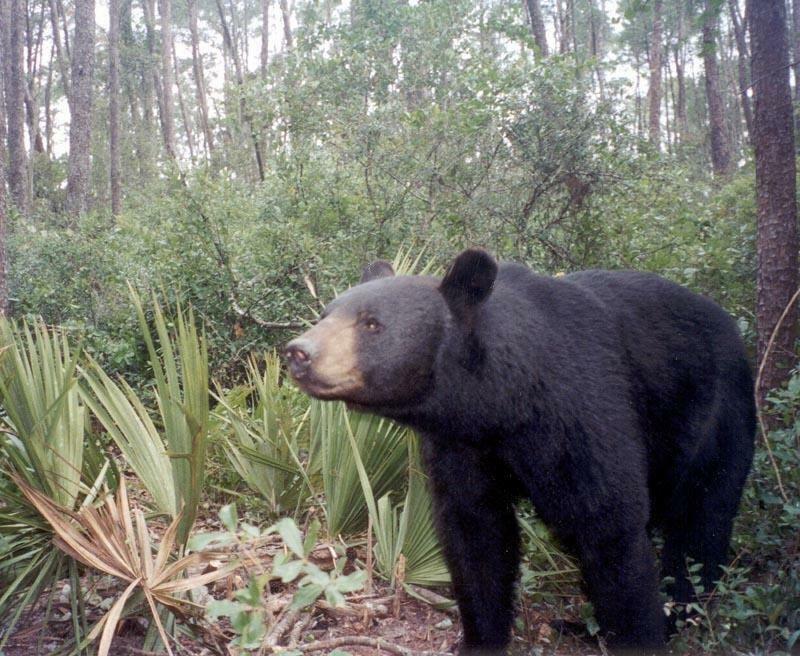 While black bears were once nearing extinction, the Florida Fish and Wildlife Conservation Commission says efforts to preserve the species have been a “conservation success,” and now estimates that the state bear population is over 3,000. In June, The FWC approved a hunt of 320 bears, as a part of a 10-year population management plan established in 2012. The bears will be hunted in four controlled areas across the state, including a South Florida region that encompasses Miami-Dade and Broward counties. As Florida’s bear population has grown, bear attacks have also been on the rise in recent years. But Stop the Hunt activists argue that people can do more to keep bears out of residential areas. “Bears come into neighborhoods looking for food,” explained organizer Daniela Bianchi. If they can’t get into trash bins, “then the bears will get frustrated and leave, and they won’t relate food with humans,” Bianchi said. Alejandro Dintino, one of the organizers, rallies the crowd with a megaphone. According to the FWC, the upcoming hunt is not a response to bear attacks. So far over 2,000 bear hunting permits have been sold, causing protesters to worry that too many bears will be killed, potentially leaving young cubs without mothers. The state will not limit the amount of permits sold, but the FWC may end the hunt early if the quota is reached. Speak Up Wekiva, a Florida-based environmental group, filed a lawsuit attempting to bring the hunt to a halt. But earlier in October, Leon County Judge George Reynolds III ruled in favor of the FWC, allowing the hunt to go forward as planned. Manatee season starts in November and there will be one more member in the herd swimming the waters around Fort Lauderdale. A 500-lb. manatee named Piper, roughly a year old, was released back into the wild Wednesday by the crew who rescued and cared for her. 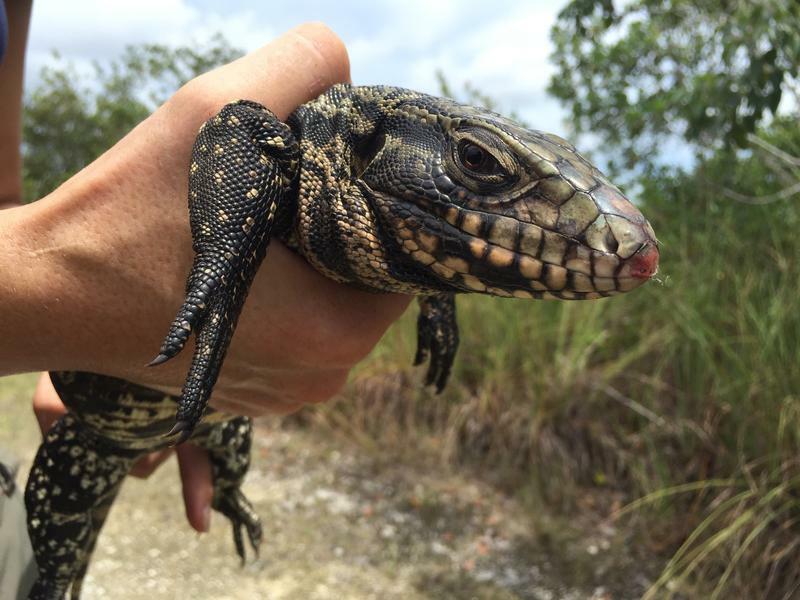 Piper was named for the pipes she swam through, getting stuck in a concrete pump drain near downtown Fort Lauderdale, where was found in May. 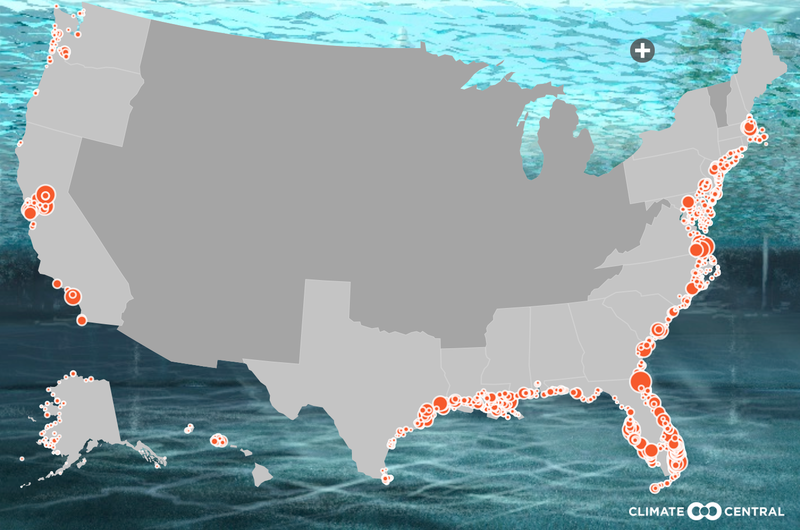 A new interactive map shows coastal cities like Miami could potentially be submerged within this century if carbon emissions worldwide continue “business as usual,” says Ben Strauss. Strauss is vice president of sea level and climate impact at the research nonprofit Climate Central, which published the map. It illustrates the effect of carbon emissions on sea-level rise through the year 2100. In South Florida’s case, “the projections are difficult and unfortunate,” says Strauss.